Seagulls – what on earth could be confusing about a seagull? Aren’t they just big birds by the sea that make an awful lot of noise and when heard, take you right back to your childhood days spent by the seaside? Yes, there is that, but did you know that Herring gulls are on the RSPB red status list as being in decline and that the Lesser Black-backed gull is on the amber list? And now I have told you, you are probably thinking ‘so what?’. So what indeed. Seaside residents are reporting that the number of gulls is increasing and they cause havoc amongst the residents, make a terrible mess and noise and some seagulls are poking their beaks into black rubbish bags, spreading the rubbish around and we all know what that attracts….oh yes, rats! Culling is out of the question due to the RSPB status, so one enterprising council has come up with the idea of a fine. 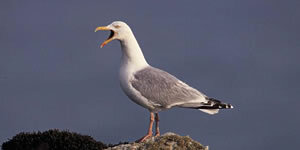 A fine of anything up to £2500 for feeding the gulls. Quite how this will be policed could be interesting and challenging, but all the same, Aldeburgh in Suffolk is now a now gull zone. So, forget about Mary Poppins feeding the birds as this could land you with a whopper of a New Year present of an eye-watering £2500 fine. There is a serious side to all of this and the National Pest Technician’s Association is keeping a keen eye on this as it is felt that the ‘green’ issues are taking precedent over looking after the public’ health- we will be watching this carefully.